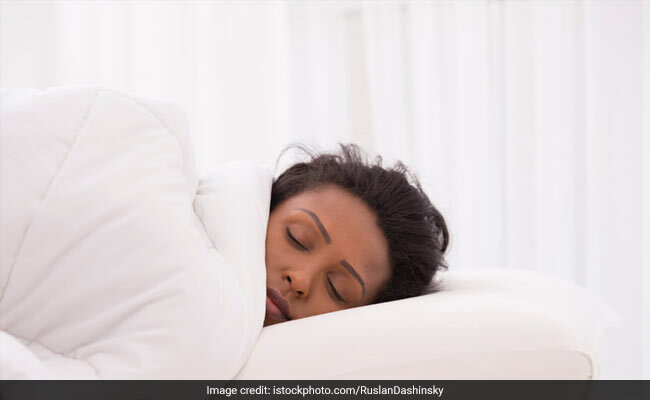 Losing sleep of just six hours or a single night may affect the liver's ability to produce glucose and process insulin, increasing the risk of metabolic diseases such as fatty liver and Type-2 diabetes. Previous studies have linked sleep deprivation with eating more, moving less and having a higher risk of developing Type-2 diabetes. However, "it was not clear whether glucose intolerance was due to the changes in food intake or energy expenditure or to the sleep deprivation itself," explained a team of researchers from Toho University in Japan. For the study, the team examined two groups of mice. One group was kept awake for six hours each night ("sleep deprivation"), while the control group was allowed to sleep as desired. Through the study, it was revealed that blood glucose levels in the mice were significantly higher in the sleep deprivation group than controls after one six-hour session of wakefulness. The findings also hinted at the change in expression of enzymes too. Lack of sleep was found to alter the expression of enzymes that regulate metabolism in the liver in the sleep deprivation group. The team offered unlimited high-fat food and sugar water -- mimicking lifestyle-related food choices that people make -- to both groups prior to the study. During the sleep/wake period, the animals also had limited opportunity for physical activity. In addition to your sleep wake cycle, a proper diabetes management is heavily dependent on your diet. Flaxseeds are power-packed with large amounts of an insoluble fibre known as lignan. Consuming flaxseeds regulates blood sugar levels in the body and improves gut health and insulin sensitivity. Whole-wheat breads, pastas, brown rice, oats and barley are food sources rich in fibre, which digest slowly to keep our blood sugar from spiking suddenly. Whole grain varieties control sugar and maximise complex carbohydrates and fibre, making them suitable for diabetics. Fenugreek seeds, also known as methi seeds, and fenugreek leaves are both excellent in managing diabetes. Rich in fibre, they help in slowing the digestion process, which regulates the absorption of carbohydrates and sugars in the body. Bitter gourd or karela helps make your insulin active, your sugar would be used adequately and not convert into fat, which would eventually help in weight loss too. Bitter gourd contains an insulin-like compound called Polypeptide-p or p-insulin, which has been shown to control diabetes naturally.